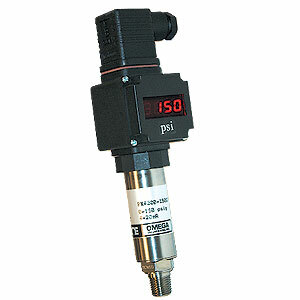 The PM1000 plug-on display is a local display suitable for the PX4200 series pressure transducers. The plug-on display is simply plugged in between the transmitter connector plug and socket and is then ready for operation. Directly from this unit, the following parameters can be set: zero, scale, decimal point position, damping and switching set point (PM1001 only).